It’s hard to encapsulate all that is happening on Peter and Kate Marshall’s property Sunningdale in one go, but the following series of photos will give you a bit of a taste. Peter is a pretty special guy. He’s got an understanding of the wider landscape processes which equals Peter Andrews, but he’s also a trained forester and is as widely read and knowledgable as anyone I have met. Add that combination to a desire to fix up some of the considerable degradation caused by his family in past generations and his wife Kate who is equally passionate and equally keen to heal their landscape and you have a pretty powerful combination. Since commencing their work 22 years ago, the Marshall’s haven’t had it easy. 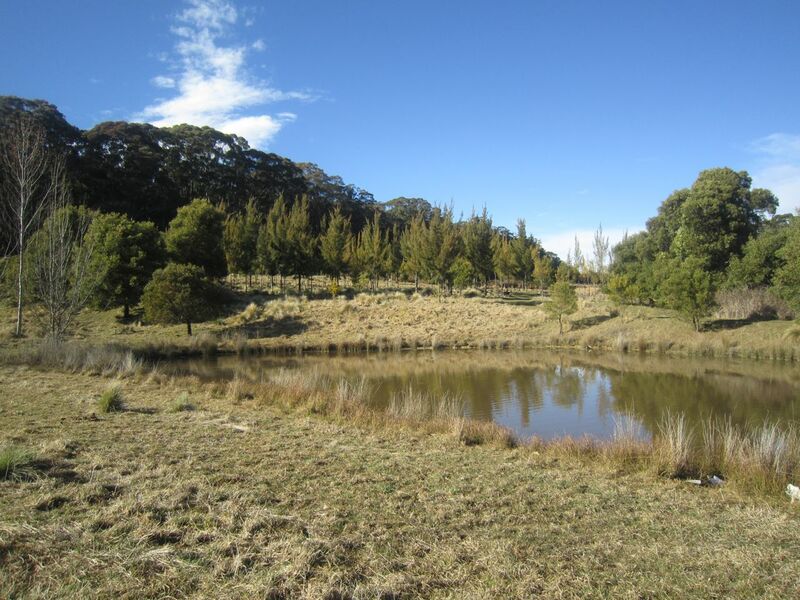 Despite recognition from some of the top mycologists, hydrologists and foresters from here and abroad, within their own community they were largely ostracised early on, from members of the farming community on the one hand because they were seen as the thin edge of a green wedge, and from members of Landcare network on the other because they were using exotic species which Peter knew to have more potential in some land repair roles. Electric fences were cut, waterways were poisoned, authorities were called resulting in the threat of large fines, their children were bullied on the school bus and nuts were even taken off tractor wheels. 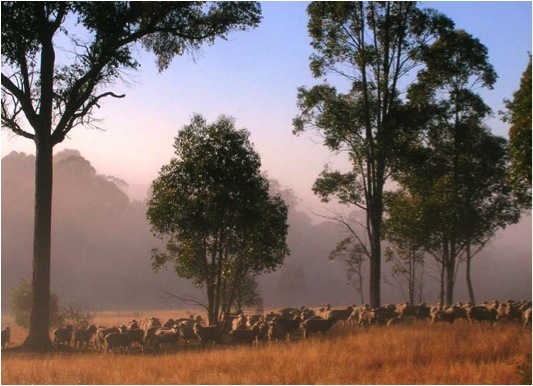 An amazing sign of the times is that on Friday night, the Marshall’s received a Champions of the Catchment award from the Upper Shoalhaven Landcare network. 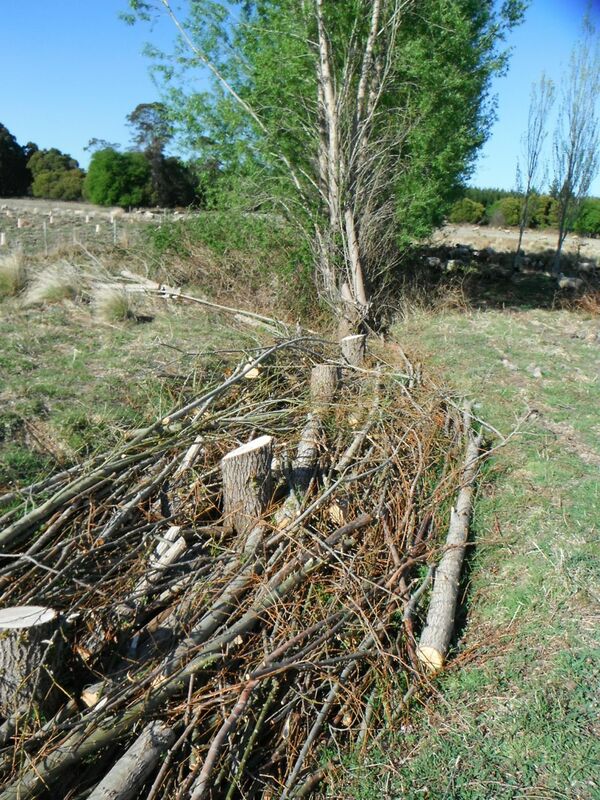 This award was introduced to recognise those who have done outstanding work in land repair which differs from the standard few lines of Eucalypts which usually fit the award criteria. The next day, a tour of their place was conducted. “This is uplifting” was the way that one participant summed it up. Here’s a glance at a small portion of the uplifting work they they have carried out. 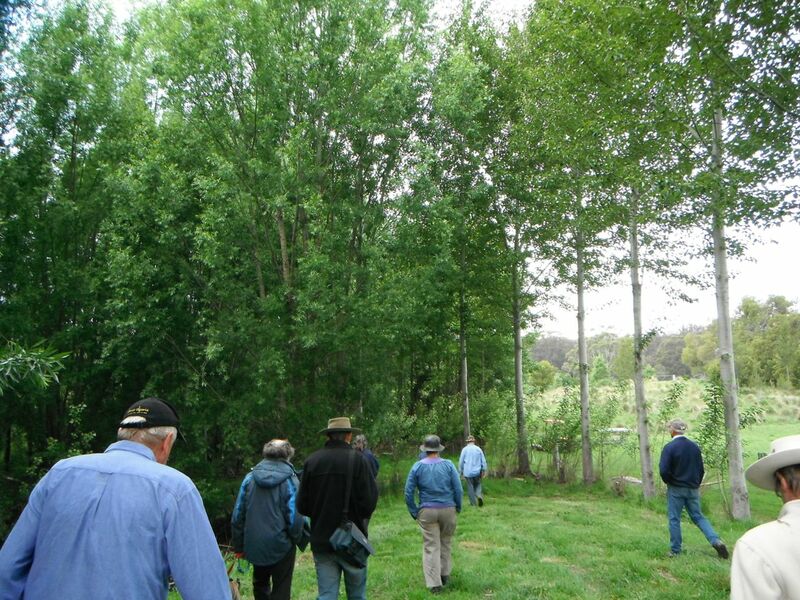 Peter leads off the tour, past the considerable biomass produced by Salix and Populus species after only 11 years of growth. 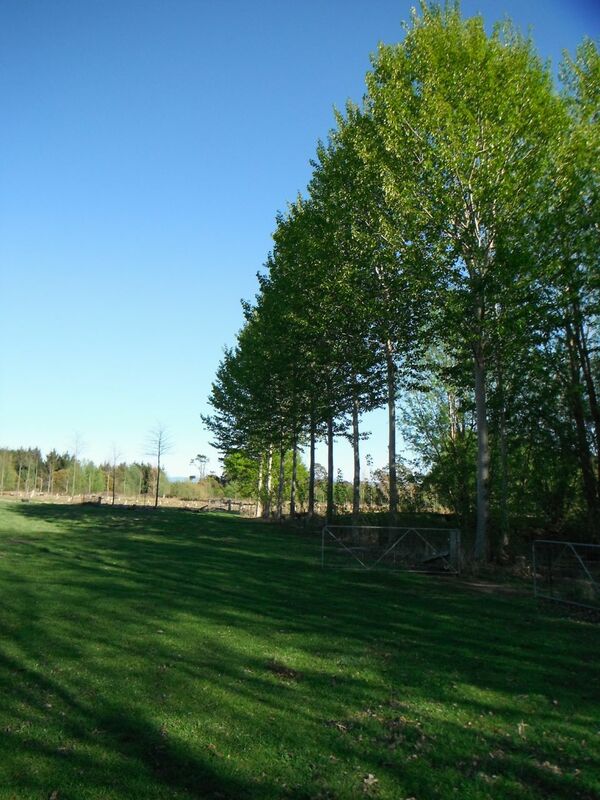 These trees moderate the climate significantly through wind protection and transpiration effects. 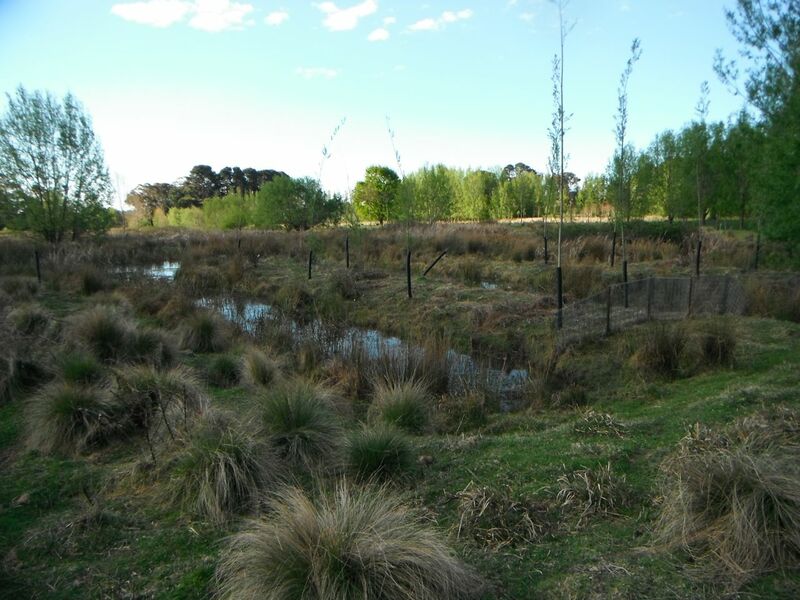 Here, Salix plantings replicate the gallery forests which existed at the time of European settlement. 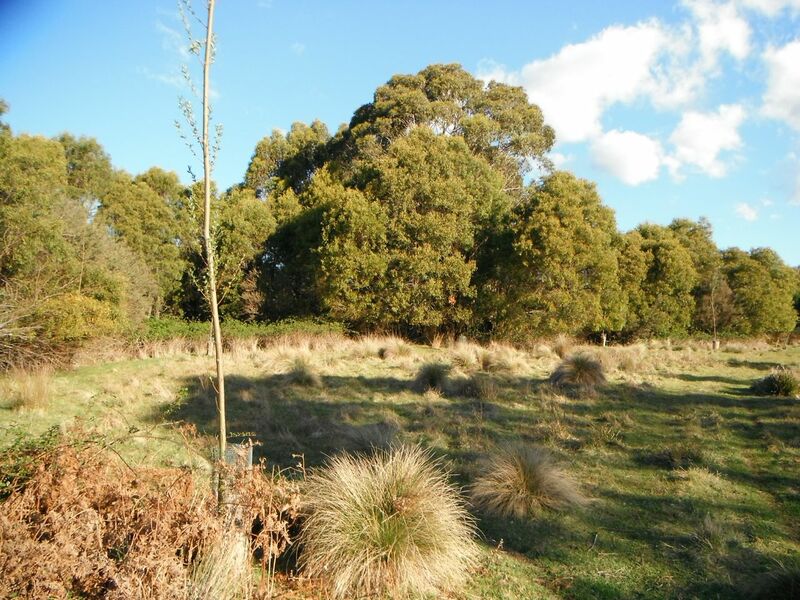 Exotic species have been chosen due to the changed conditions making the original dominant species, Casuarina, very difficult to establish (heavier more acidic sediment, hare and rabbit predation, reduced frost protection due to complete deforestation and a dehydrated landscape). 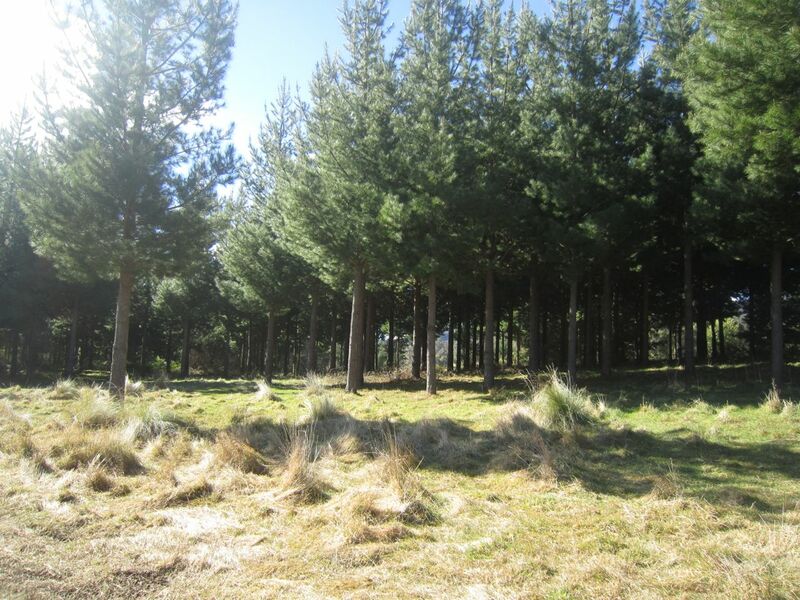 Pinus radiata are pruned up for better quality timber. They were originally established due to their recognition by the tax man, but the focus has changed over time with the most valuable crop now below the ground, in the form of edible mushrooms such as slippery jack and saffron milk cap. 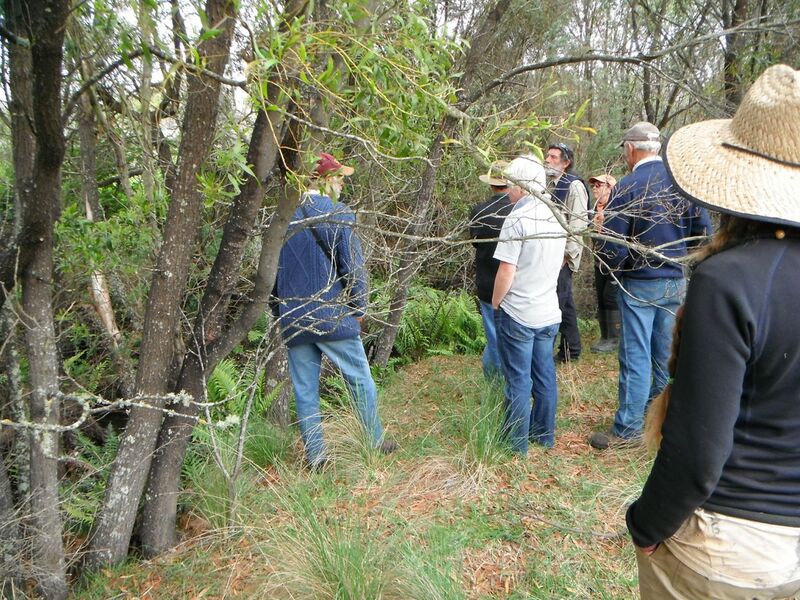 Here the group observes the understorey of ferns which has established beneath Blackwood and local tea tree. 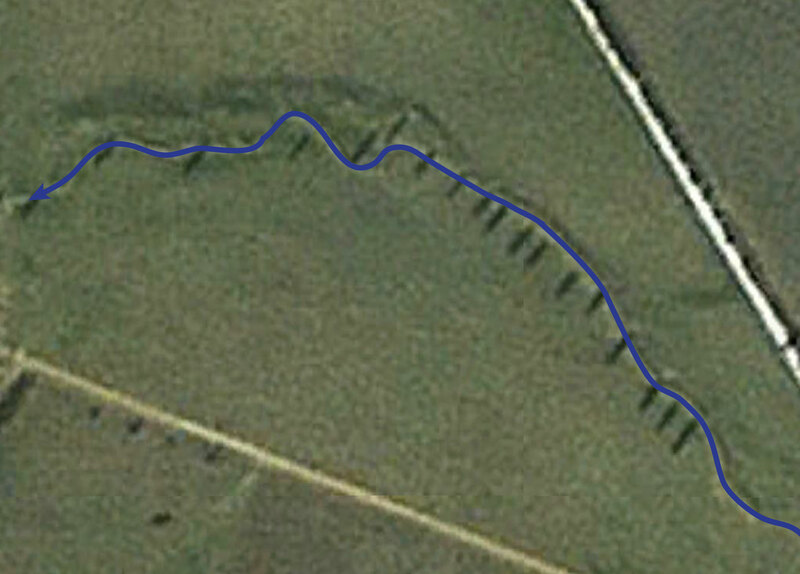 This site was dense with blackberries only 12 years without a tree in site. 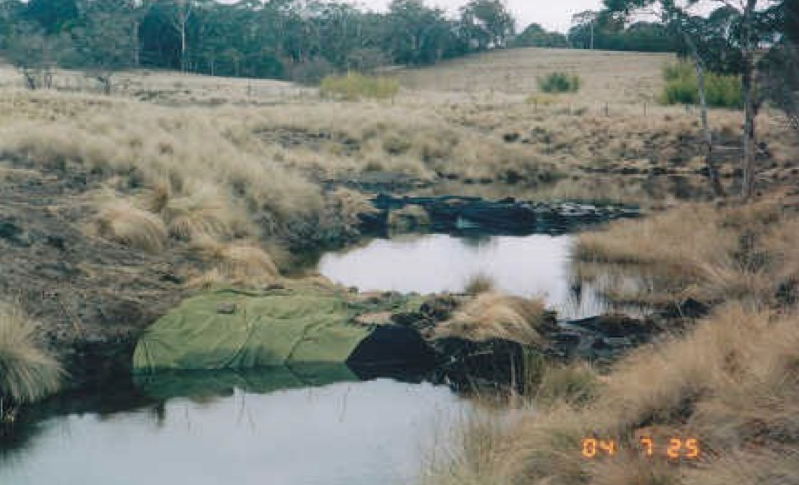 Seed filled brush mattresses of Leptospermum and mud encapsulated seed balls of Acacia were the main reveg techniques used. 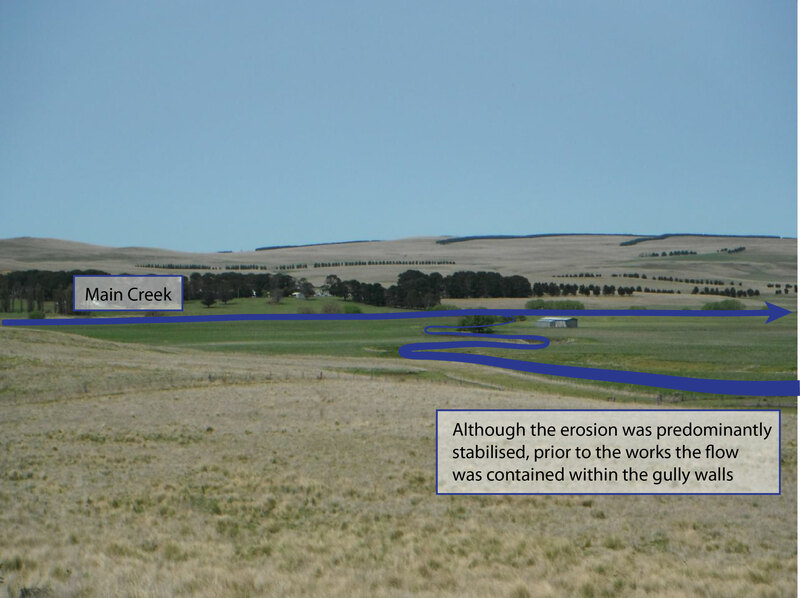 Due to the repair of the main creek, the floodplain has rehydrated. 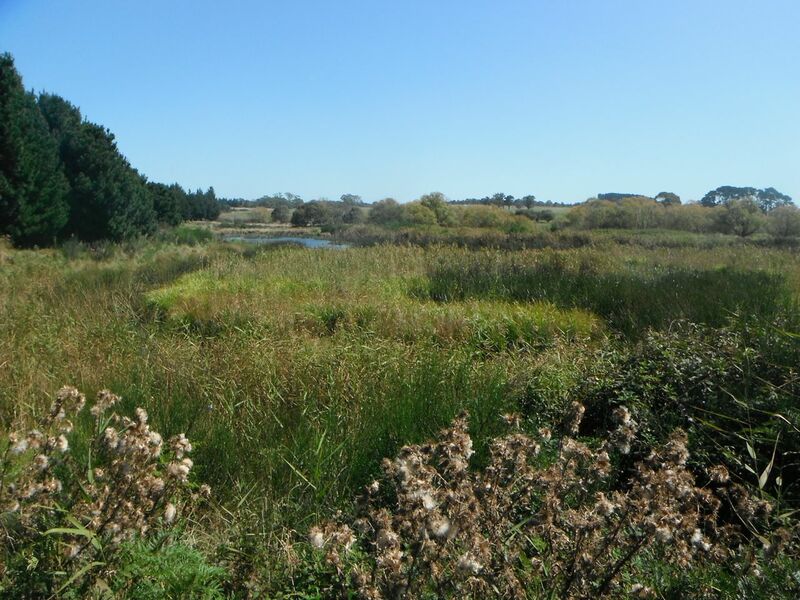 These flats have been excavated to tap into the groundwater, creating a mosaic of water and earth, rich in biodiversity in some places……. 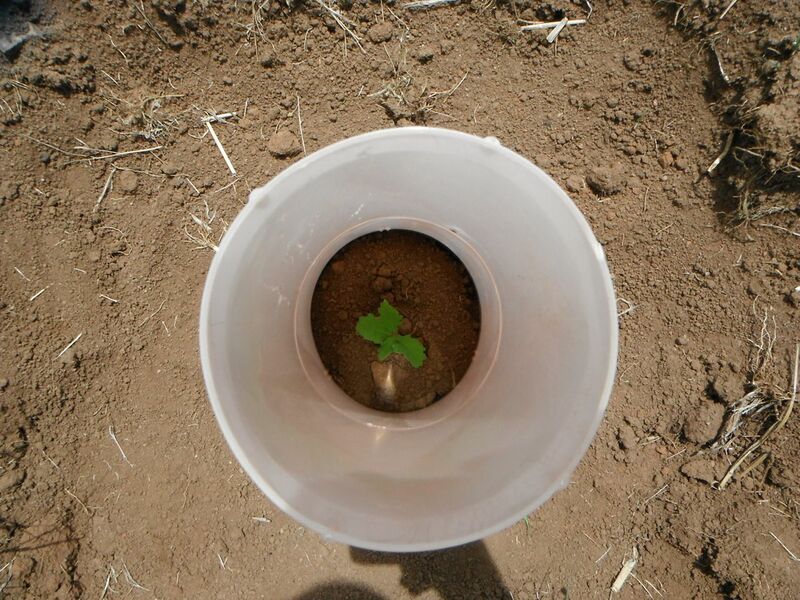 ……..and planted out to useful agricultural crops in other places such as cricket bat timber or it would be perfect for ducks, fruit and veg if someone wishes to start an enterprise. 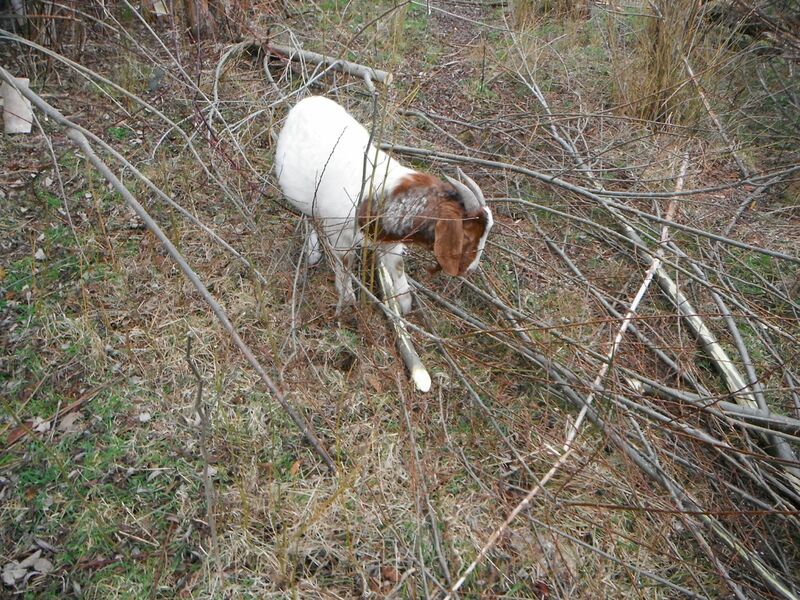 Fodder trees are grown in the hydrated landscape, the leaves and bark of which are devoured by goats and sheep. 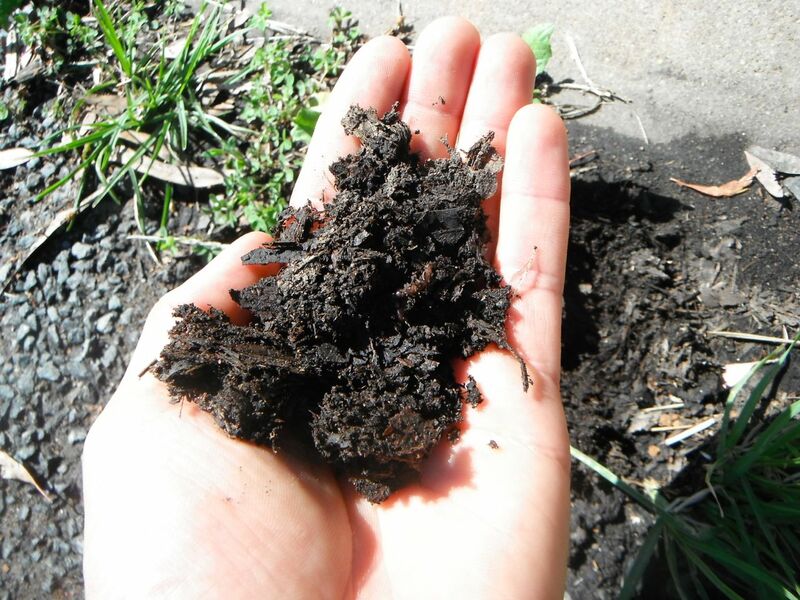 The left over woody biomass can either become material for building erosion-repairing fascines, or innoculated with saprophytic edible mushrooms like shitake. 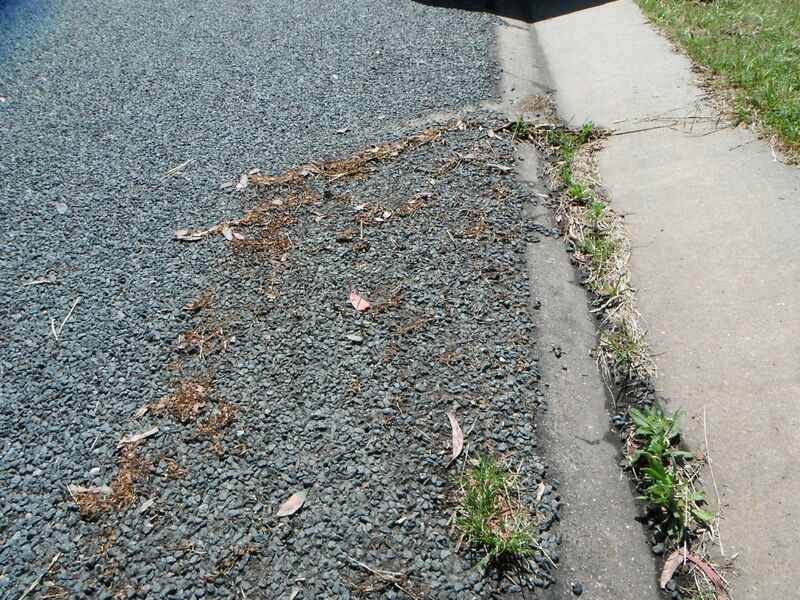 A number of methods are used for establishing pole plantings while stock are in the paddock such as these tech-screwed tyres. One of the Marshall’s most valuable and successful crops is the black truffle. 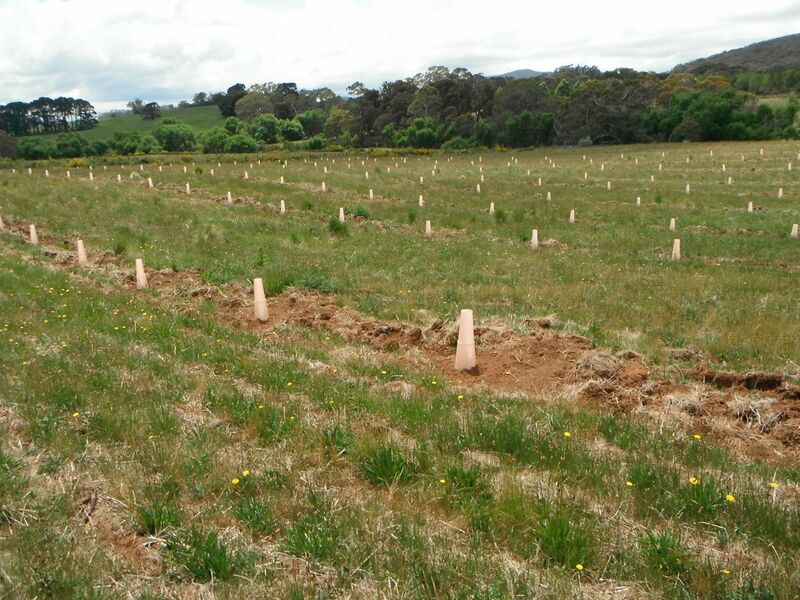 This is a new orchard which has been established this season, using locally adapted oaks with excellent form for light penetration, and innoculated from a portion of their own truffle stock which they put aside this season. These oaks were a pleasure to plant into the well prepared bed. This site was like concrete when Peter and Kate first purchased it, but after successive rips with the Keyline plough and a series of green manures, you couldn’t ask for a better start to life if you were a tap-rooted tree. 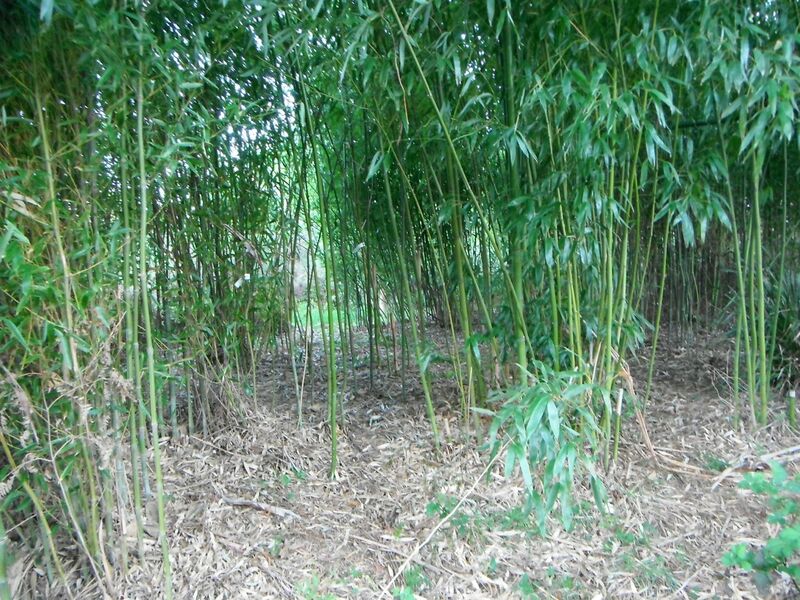 A number of stands of monopodial bamboos have been established for a variety of uses across the property including soil stabilisation, building material, fodder, biochar production and garden stakes which is an enterprise their daughter Rita runs. 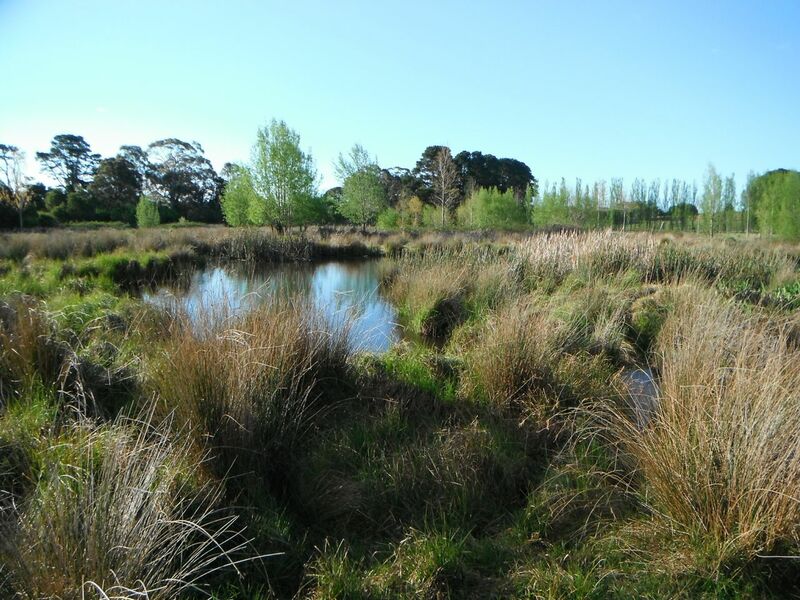 This large world class wetland was created on another one of the hydrated flats, which now has black swans nesting. 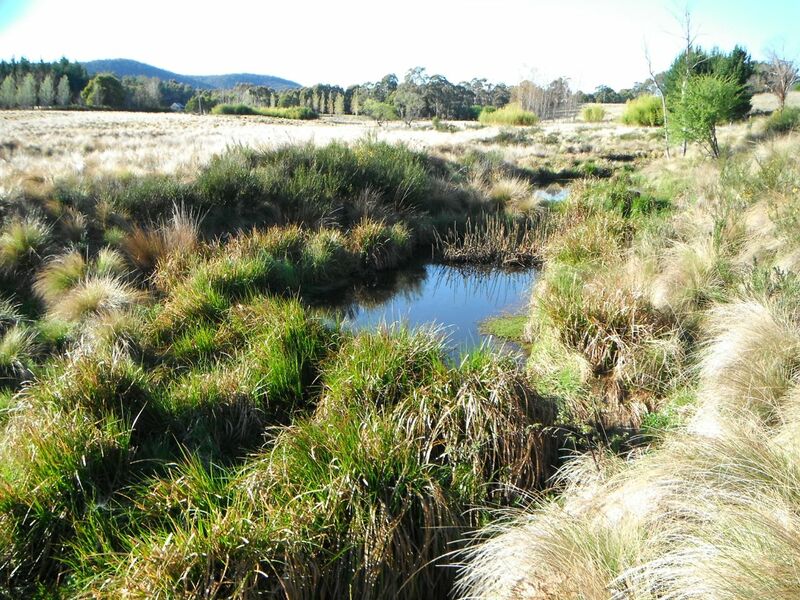 This particular piece of extensive work seems very altruistic, which it is based on the desire to reverse some of the degradation caused by each of Peter and Kate’s families over the generations, but this area of beautiful wetland habitat also offers significant hydration benefits to the surrounding landscape, with groundwater essentially backing up the slopes. 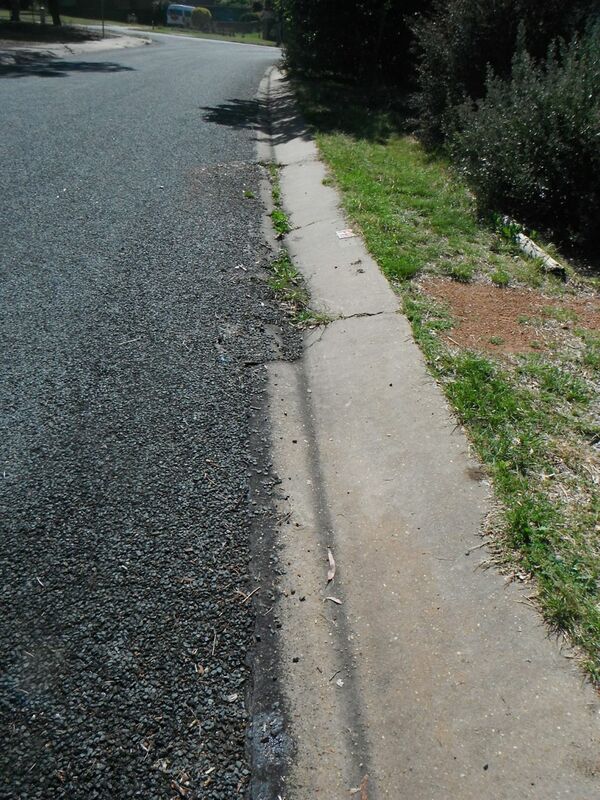 Gravity’s always doing its best to take your fertility to the bottom of the hill. 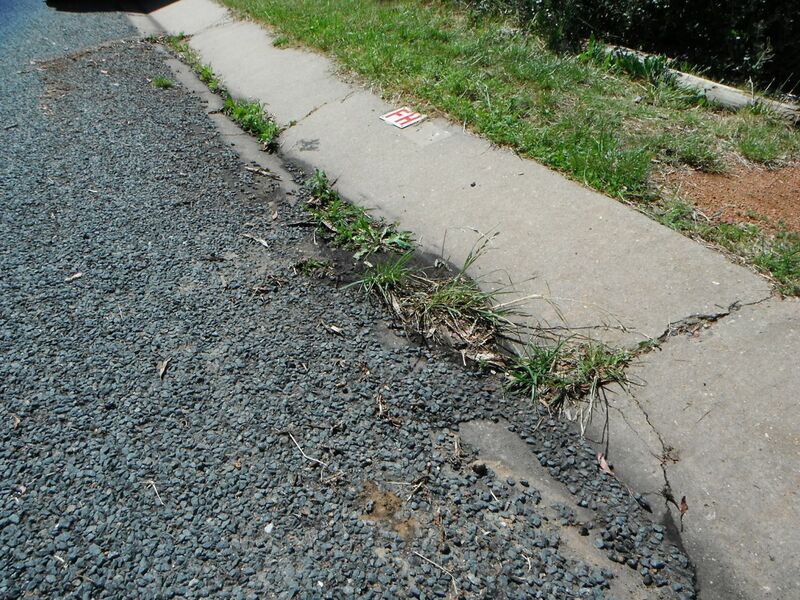 The following images explore a couple of ways to reverse this ever-present process, hopefully bringing a more positive slant to the old saying, “Pushing faecal matter uphill”. 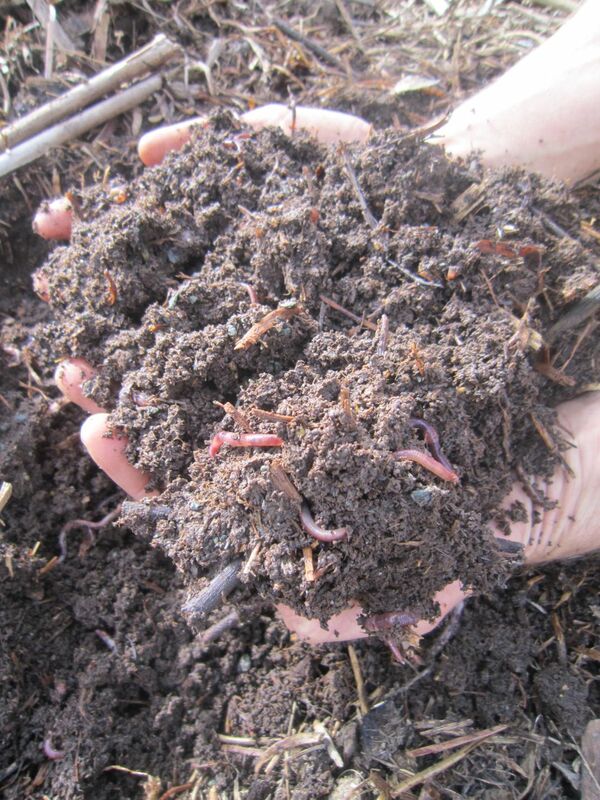 Peter had said to me on many occasions that reeds make the best compost. So one day I gave it a go and what do you know, it did (and I’ve made my fair share). 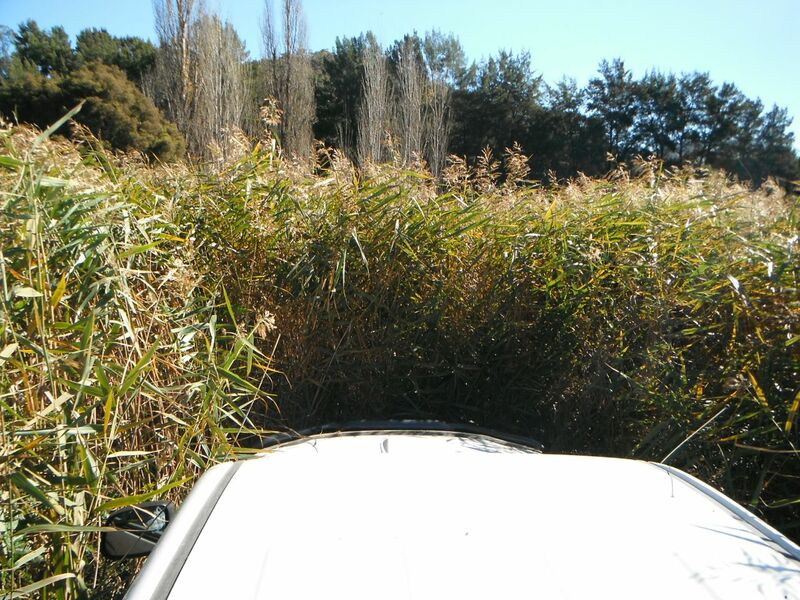 This was mainly cumbungi, but I’ve had similar results with Phragmites too. 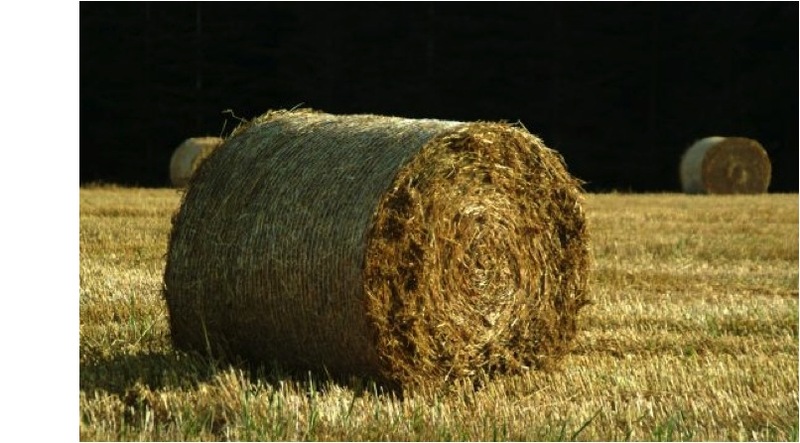 A forage harvester, baling or in the gut of a cow are a few ways of moving the material up the landscape so that the compost is useful, as Peter Andrews mentions when talking about mulch farming in Back from the Brink. Another plant that’s synonymous with water are willows, and the more fertile it is the better they grow. 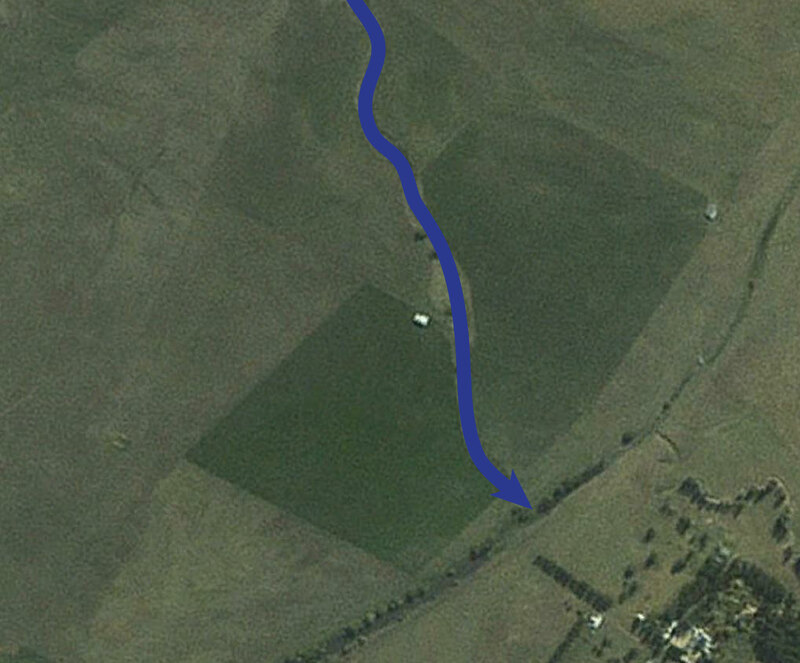 Drop a willow near stock and see what happens. 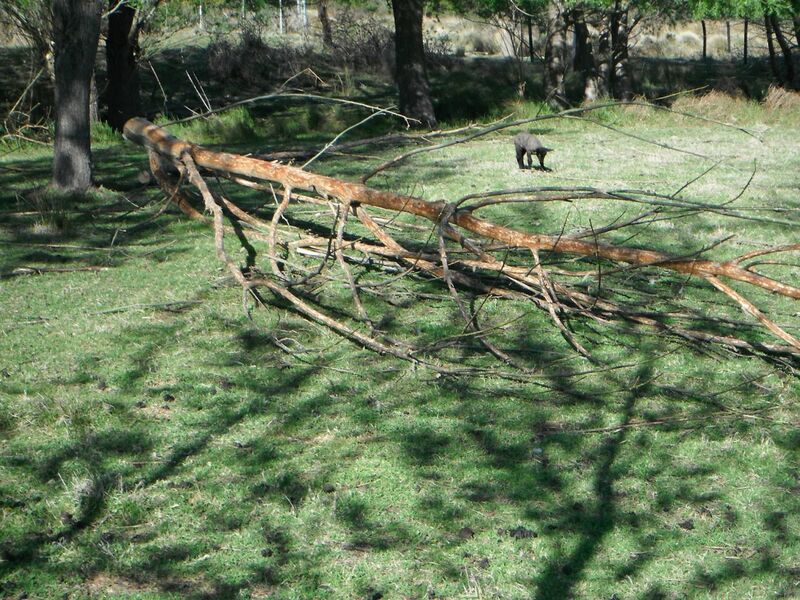 Sheep will strip every bit of bark off, as they have here on Peter and Kate Marshall’s property. Their sheep come to the sound of a chainsaw, as did the stock of a few people I have met, especially during the drought. 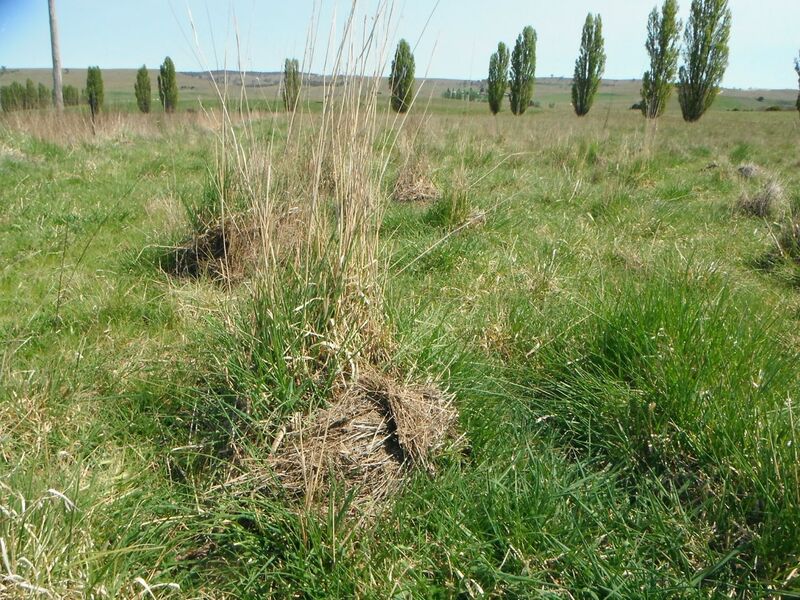 That’s the time it’s valuable and research by the Kiwis has shown that with protein levels similar to lucerne, poplar and willow can maintain lambing rates during drought periods. 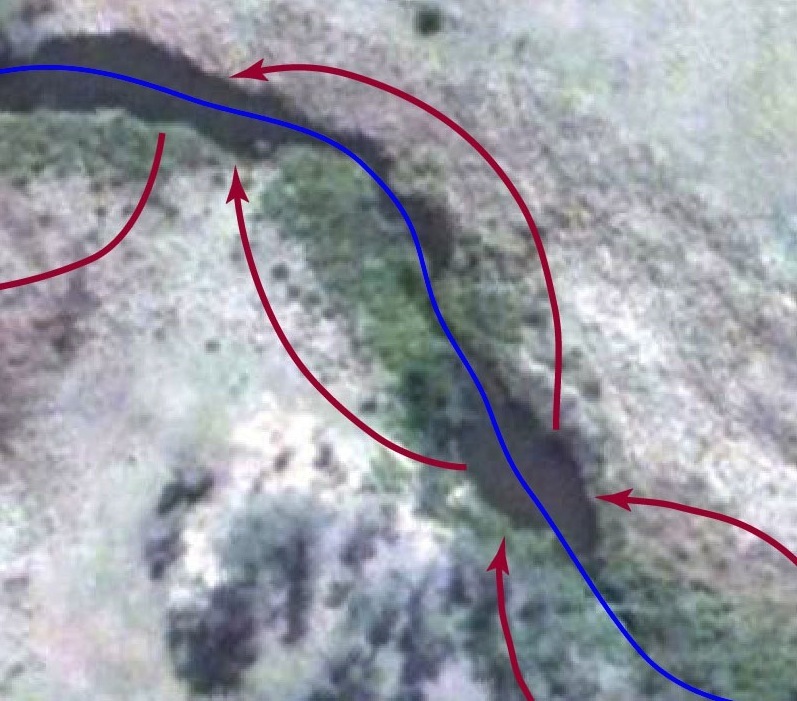 Because you’re close to water, the woody material which might otherwise get in the way can be used to fill in gullies and build more fascines and brush mattresses for erosion control. 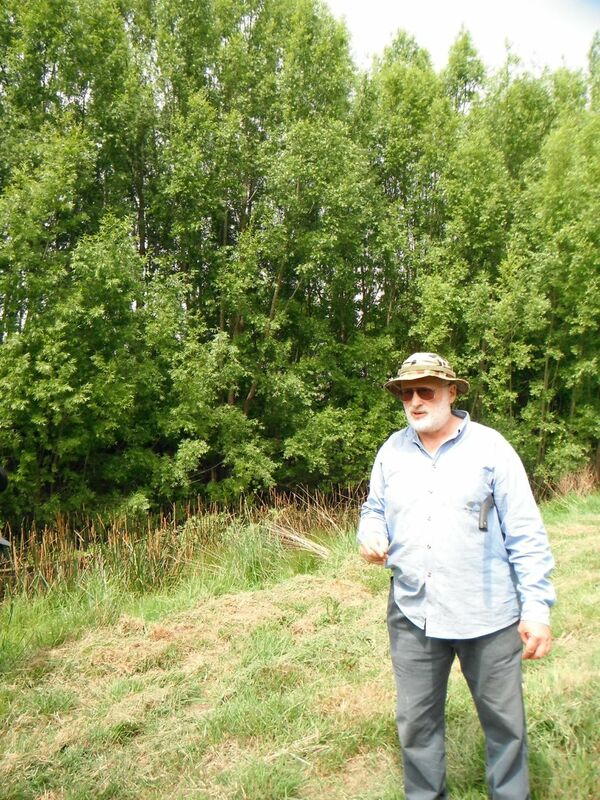 With a feed value comparable to lucerne, poplars are another tree that grow on well-hydrated land, which stock will devour. The bark is especially high in trace minerals which are mined from deep down. 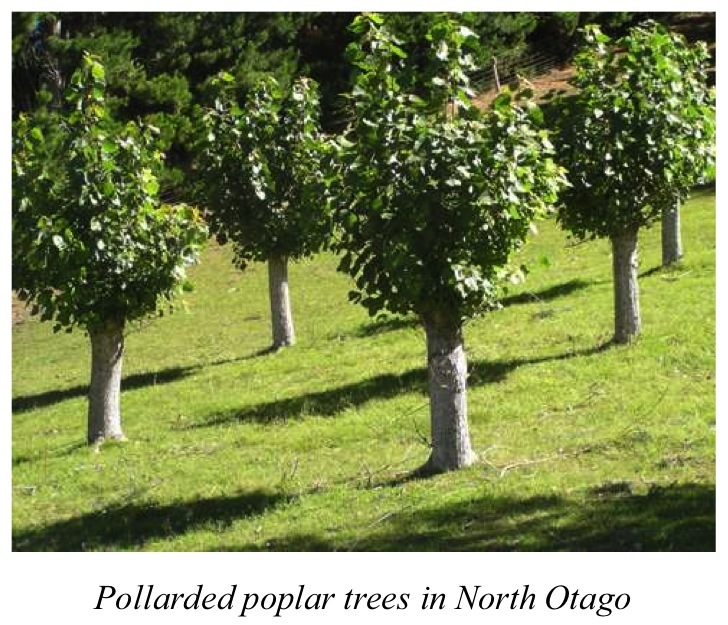 There are many varieties of poplars which can be used for different purposes, Populus trichocarpa being one which also provides useful timber. 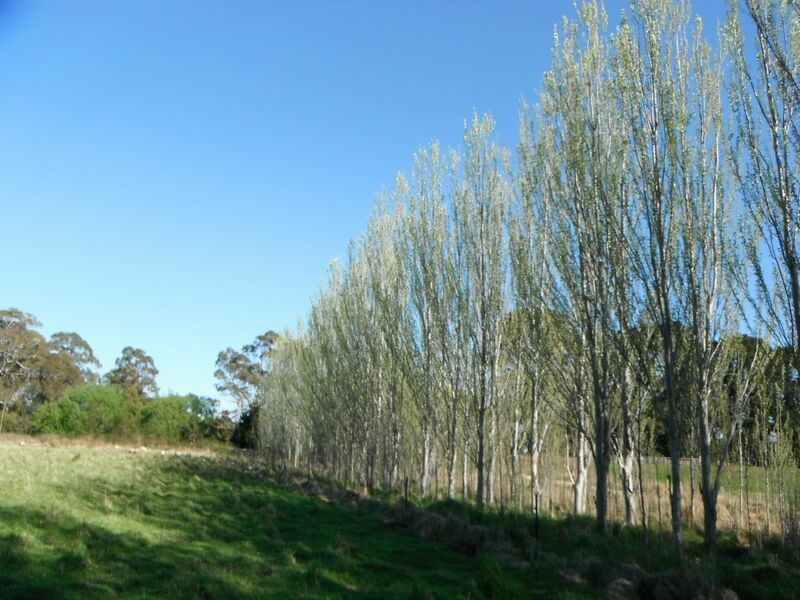 Populus alba (silver poplar) is another, this stand provides good windbreak even when dormant, while the upright form minimises shading of pasture. 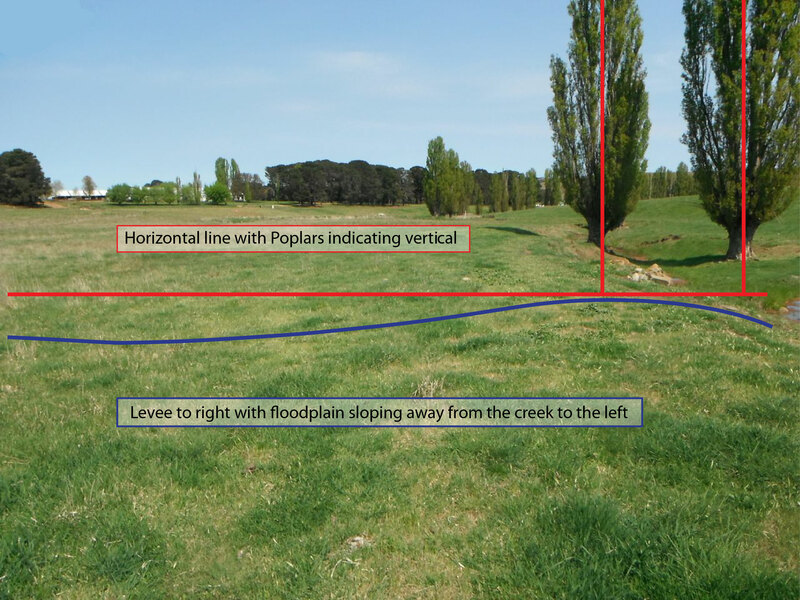 Pasture grows right up to the base of most poplars. 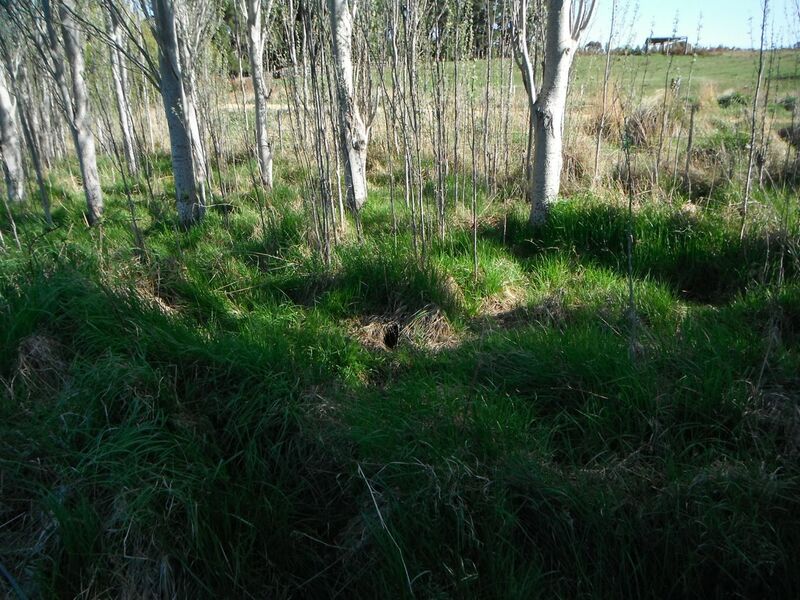 The nutrients mined from deep down by the poplars are returned to the surface via leaf drop, enriching the soil beneath. 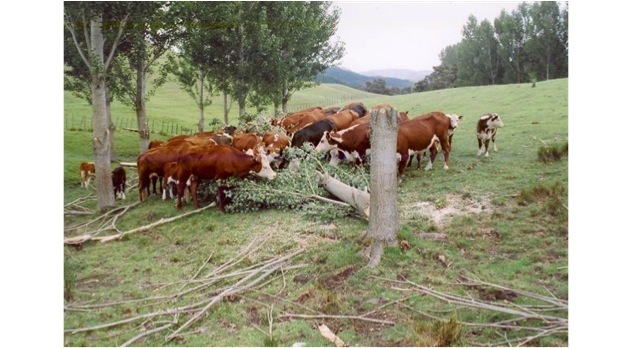 Browse blocks are utilised by the Kiwis which if grazed often enough don’t require felling with the chainsaw. 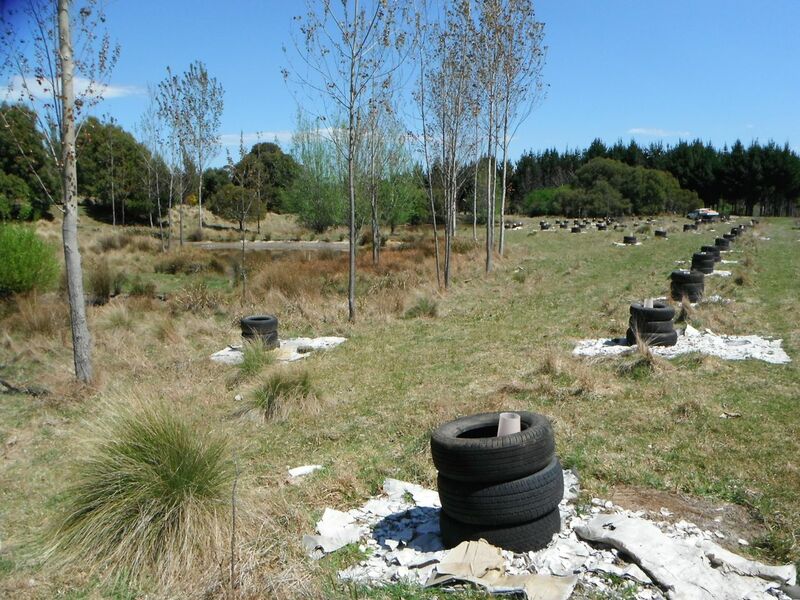 Using a number of tyres tech-screwed together, the Marshalls are able to establish poplars while the stock are still in the paddock. 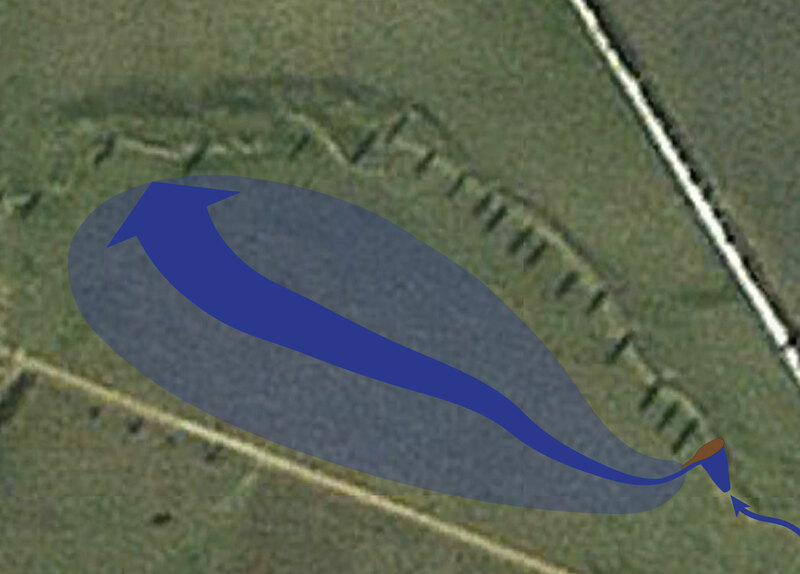 A large piece of cardboard eliminates grass competition during establishment. 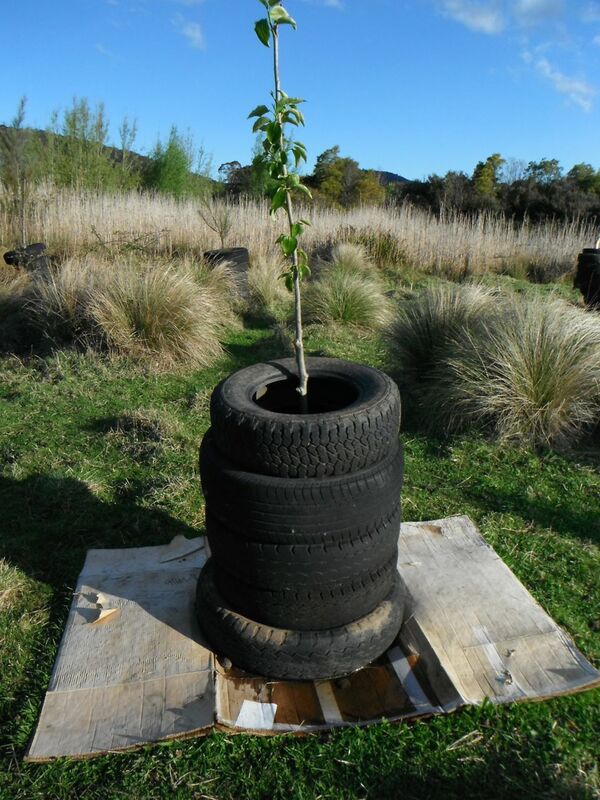 Tyres are removed when the tree is first pollarded. 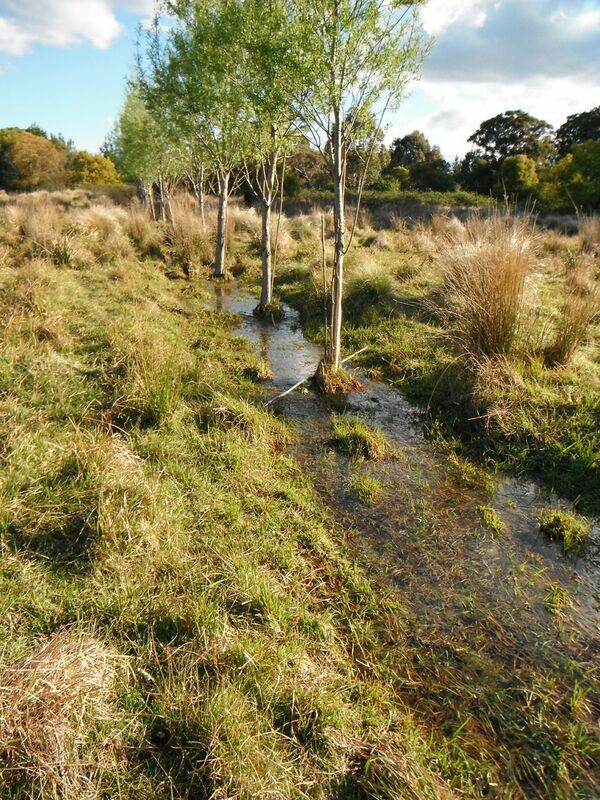 Another use for a well hydrated floodplain is cricket bat willows. These ones are inoculated with white truffle, hence the oyster shells as a free, slow-release source of calcium. 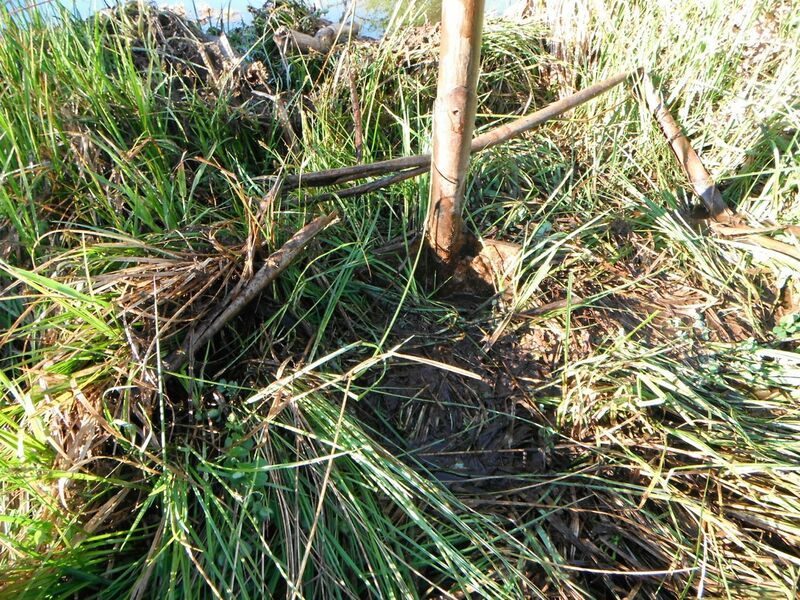 Bamboo is another plant which does a fantastic job at stitching creek banks together, the foliage providing good fodder while the poles have a huge range of uses, one of which is a good cellular structure for biochar production. And where do the stock head when they’ve got a gut full of all this? Up the hill of course, Nature’s anti-gravity nutrient transport service. 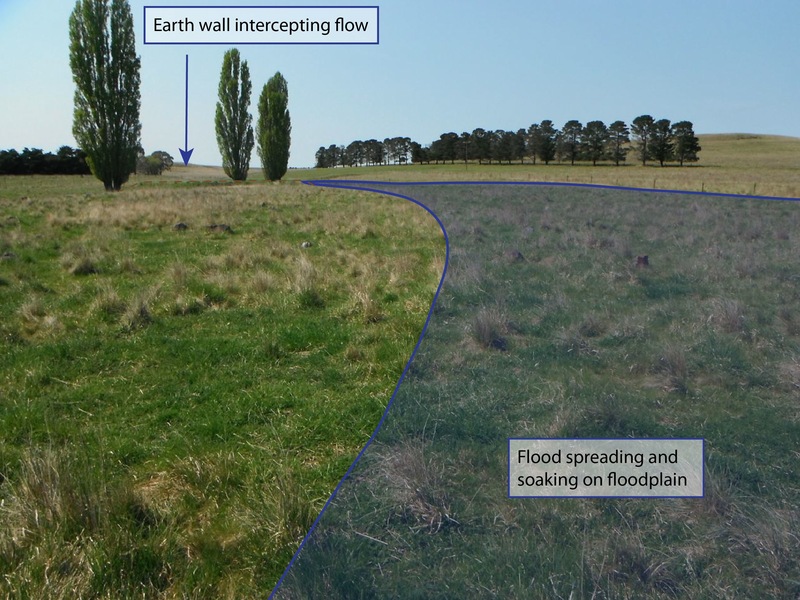 Recognising this pattern, Martin Royds has realigned his fencing to facilitate this nutrient connection between watercourse (filter zone) and hilltop. 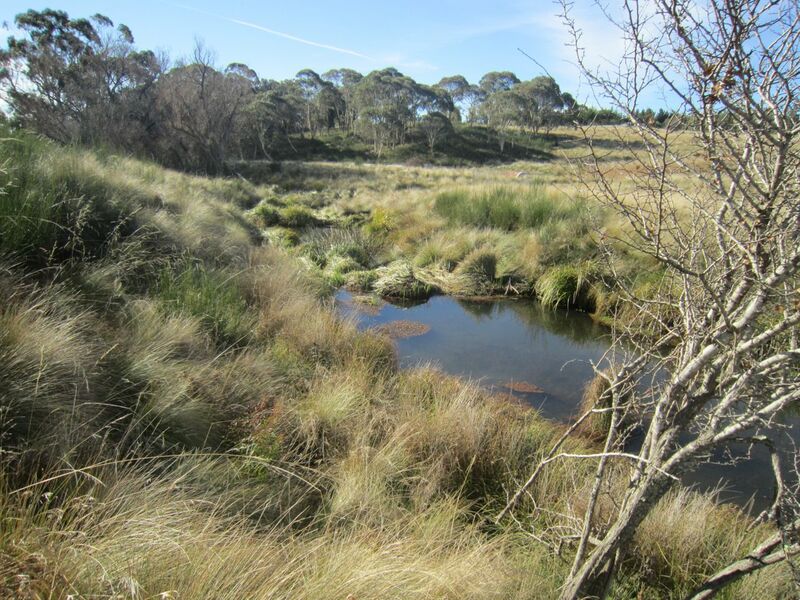 There are many different ways that Peter and Kate Marshall have turned degraded sites around on ‘Sunningdale’, setting landscape rehydration and repair processes into action. 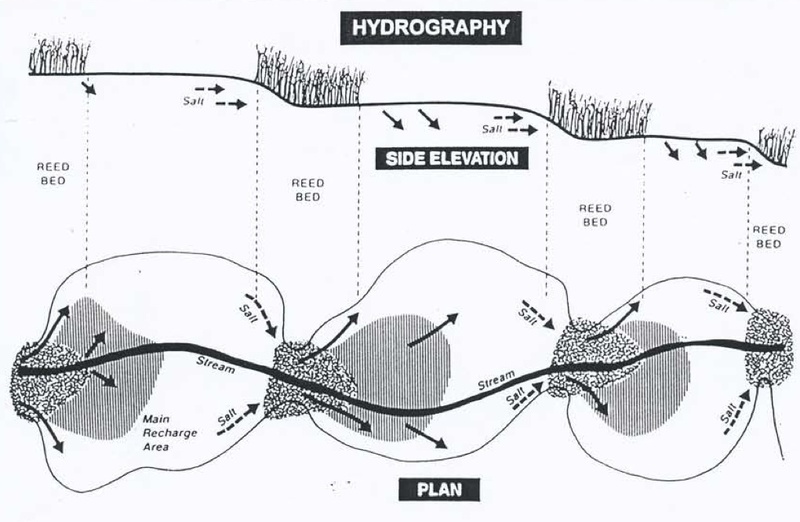 One of the methods was this series of vegetated earth banks, which are situated in a second order gully, higher in the catchment. The photos tell the story. 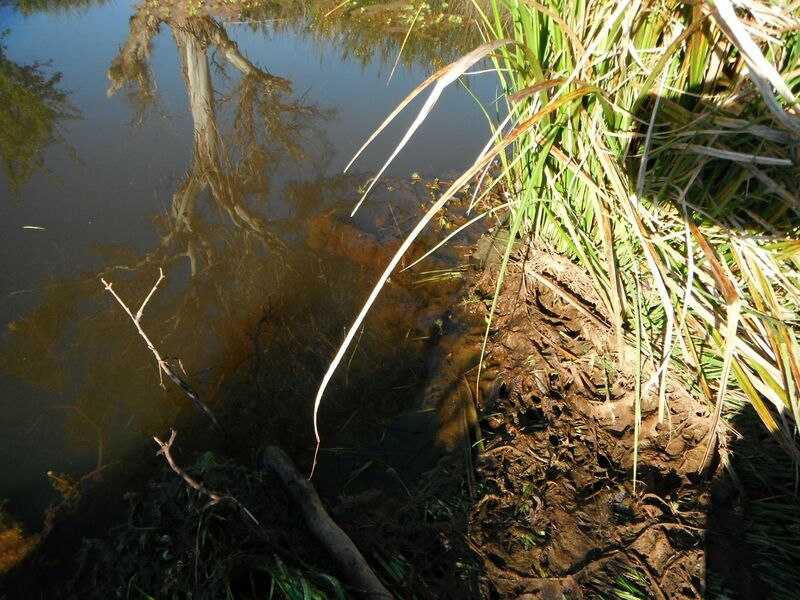 As a result of these simple earthworks, the ponds and wetland plants themselves provide valuable wetland habitat, whilst also improving the drought resilience of the landscape through the lateral hydration of the surrounding floodplain. 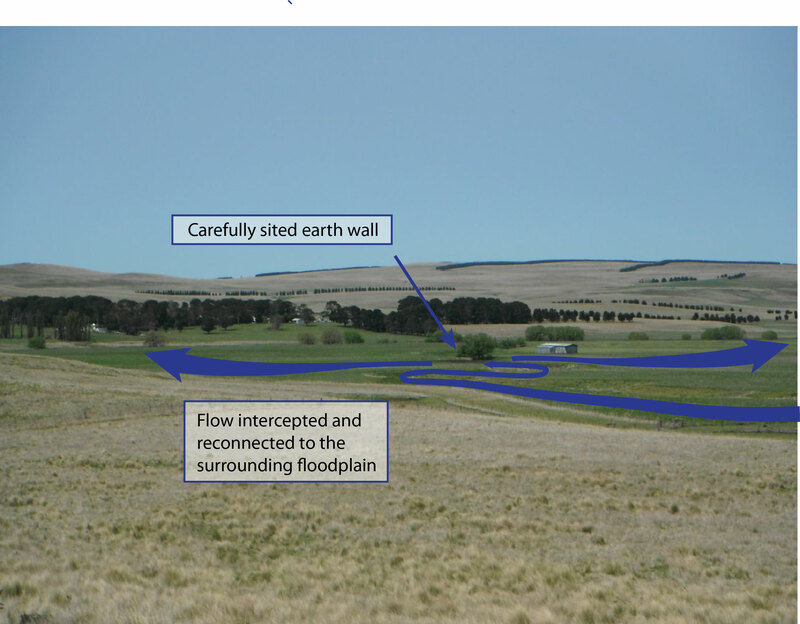 In time, as the banks continue to aggrade, this will provide further benefits by returning flood flows to the floodplain surface. 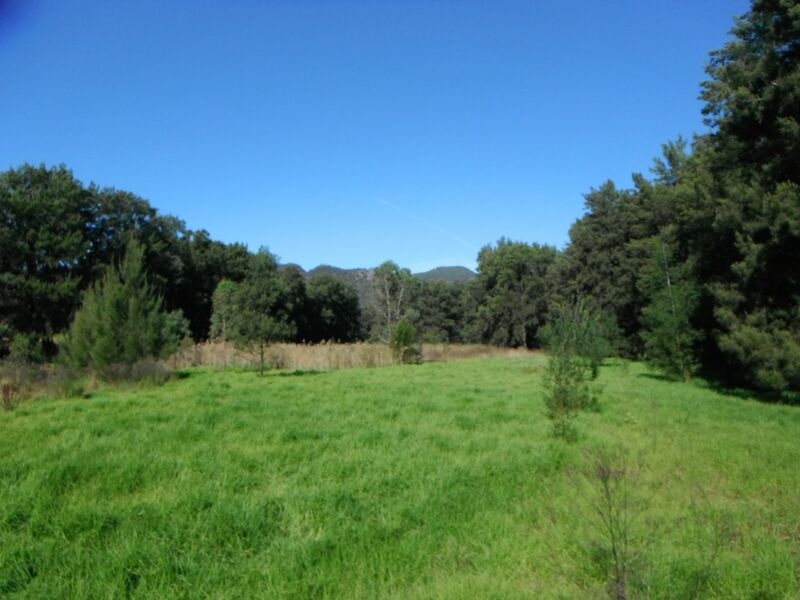 If anyone is interested in spending some time working on the Marshall’s property, feel free to contact us and we can put you in touch. 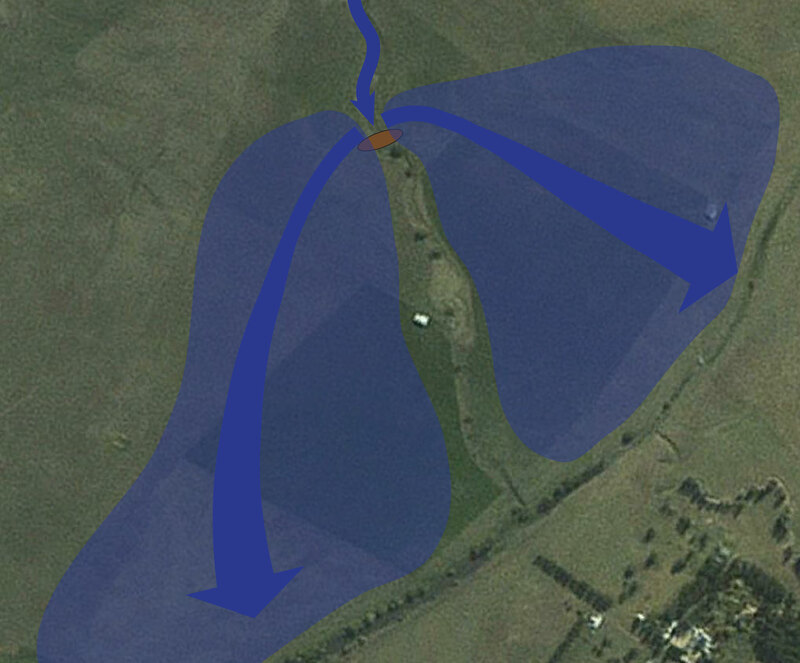 Or, if you’re interested in getting these processes happening once again on your land, contact us to find out about our design, consultancy and implementation services.